Inflammation of the airway is the underlying cause of a number of respiratory affections such as asthma and COPD, and is mediated by the uncontrolled production of inflammatory mediators such as interleukins and tumour necrosis factors. We believe that the ubiquitin system has the potential to regulate the signalling cascade leading to the inflammatory response in the respiratory tract. 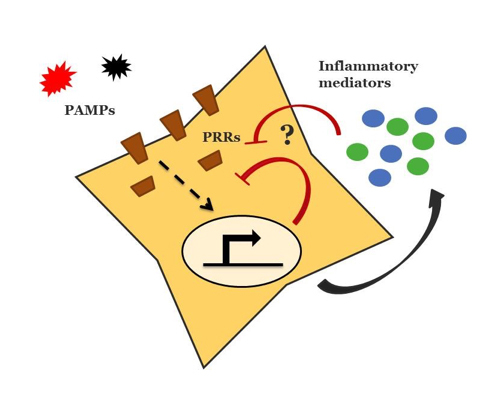 We are interested in identifying the specific components that block inflammatory signalling and hence exploit them to turn off the signalling cascade fuelling inflammation in respiratory disorders. This work is supported by Asthma UK.